This blog does not exist on its own. It takes work to make this happen. And it takes support. Your support. So, how can YOU support The ValleyScott Blog? Sharing the posts you read here with others is the #1 way you can support The ValleyScott Blog. Share links to the site or to individual posts on your own Social Media accounts or websites. Sending others here helps to grow this site. Tell people about The ValleyScott Blog. Let others know what you have found here. Choosing to “Follow” or Subscribe to The ValleyScott Blog will allow you to receive emails when new posts are published. You will also have the opportunity to get special information on upcoming events and news. Liking and Commenting on posts gives more influence to those posts and helps the blog to grow in exposure. Your participation grows The ValleyScott Blog. A blog like this costs money to operate. Not a lot. But some. Financial support allows us to have our own domain name and web hosting. Further financial support is needed though. I want to bring you more and better materials, but that means travelling to other places. This requires resources. I want to bring you interviews with interesting and important people, report on special events, and help you to see & experience the broader world of CTS. Your Financial support can help make this a reality. 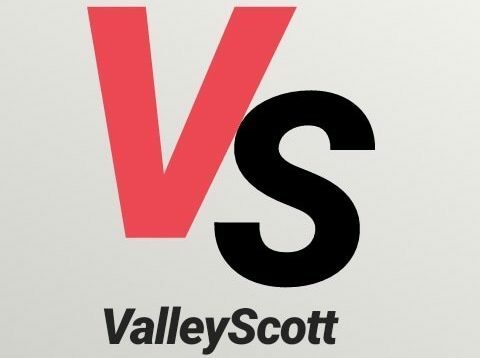 Right now, you can support The ValleyScott Blog by going to Patreon.com/valleyscott and signing up to be a monthly Patron. Your monthly gift of as little as $1 can help support our efforts. Patreon is one of the largest and most trusted names in crowd-funding today. It is secure and trustworthy. The ValleyScott Blog is now accepting paid advertising. As the Blog grows it becomes a better place for your company’s advertising. Our community maybe a niche one, but your products may be just what our readers are looking for. For information about advertising, please click here (Advertising Information). Your company or organization can become a Sponsor of The ValleyScott Blog. A monthly donation will give you advertising space, promotion of your company/organization on Social Media, and have you listed as an Official Sponsor. Please contact us to discuss sponsorship if you are interested.